Razer must be running out of snakes after which to name its mice; we had to Google long and hard to find a mention of the crotalus oreganus abyssus – aka the Grand Canyon Rattlesnake. Unlike a desert rattler, though, the ambidextrous Razer Abyssus Mirror is a decidedly tame beast. 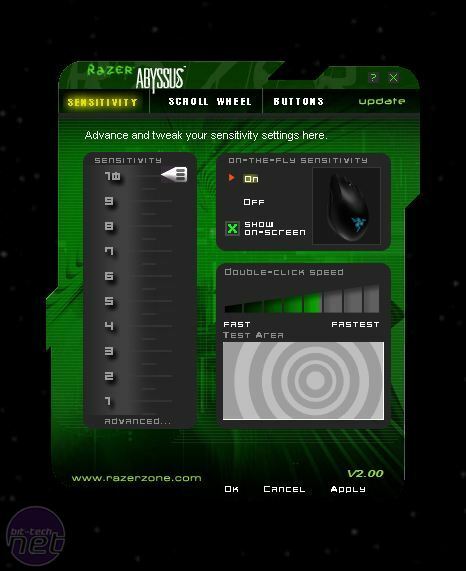 In fact, the Abyssus is Razer’s most stripped-back and basic mouse to date. Gone are the fancy features of most modern gaming mice – the Abyssus doesn’t even have thumb buttons, which is a criminal omission. At least this stripped-back design ethos has allowed Razer to keep the price down, and at £32, the Abyssus is one of the cheapest gaming mice around. The Abyssus is comfortable to hold, although as it’s small, it will be more comfortable using a palm grip rather than a finger grip. Still, that’s down to personal preference. The two main buttons are responsive, and movement feels crisp and accurate. The scroll wheel also has a chunky, solid feel to it when we scrolled, although it can’t be rocked from side to side to provide extra controls. 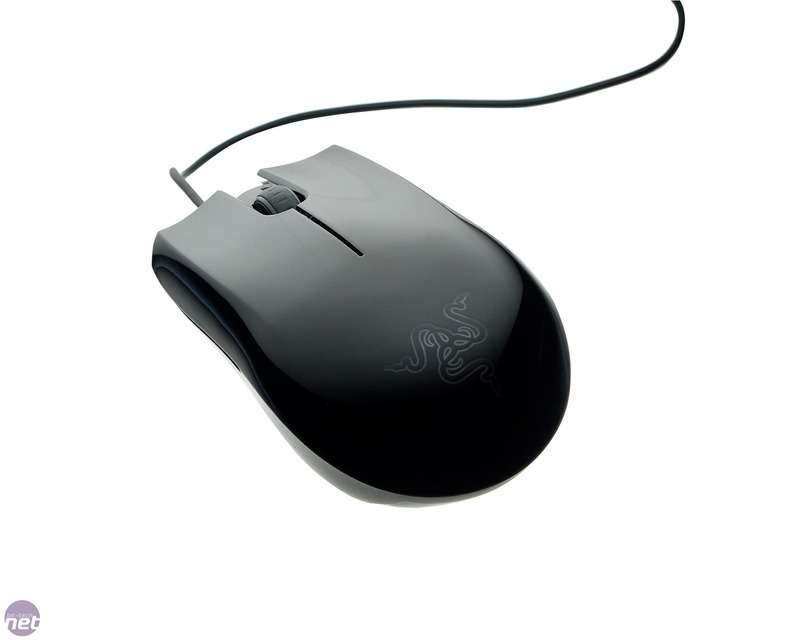 The sensitivity of the laser used to track the movement of the mouse can be adjusted via a switch on the bottom of the mouse. The sensitivity settings range from a frustratingly low 450dpi to a stupidly high 3,600dpi via the reasonable 1,800dpi middle setting. We never found any use for the high and low settings in everyday use and, given that the switch is on the base of the mouse, you're unlikely to be switching quickly between them in game either. 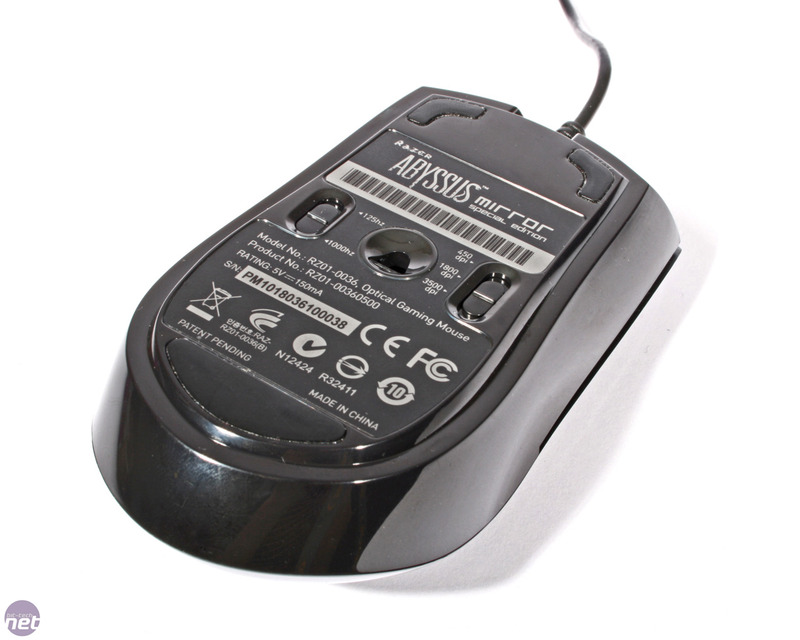 Also located on the base of the mouse is a USB polling rate switch, allowing the rate to be set to either 125Hz or 1,000Hz. As the higher polling rate is better and has few (if any) drawbacks, we wonder why you’d want to use the lower setting. Razer claims that the unbraided, plastic-coated cable of the Abyssus is of the non-tangle variety, and we didn’t experience any cable-tangle issues with it. Then again, we rarely have this problem, as our desks are sensibly arranged and the sanity-destroying spaghetti junction of PC and peripheral cables are carefully tidied away. The Abyssus is available in either a matt finish or a ‘special edition’ mirror finish version that we received. The mirror finish quickly became sweaty and slippery even during light gaming sessions, so we’d recommend choosing the regular Abyssus. The Abyssus is bundled with its own custom configuration software but this is notable only for its pointlessness, allowing you to change exactly the same settings as can be accessed in the mouse section of the Windows Control Panel. 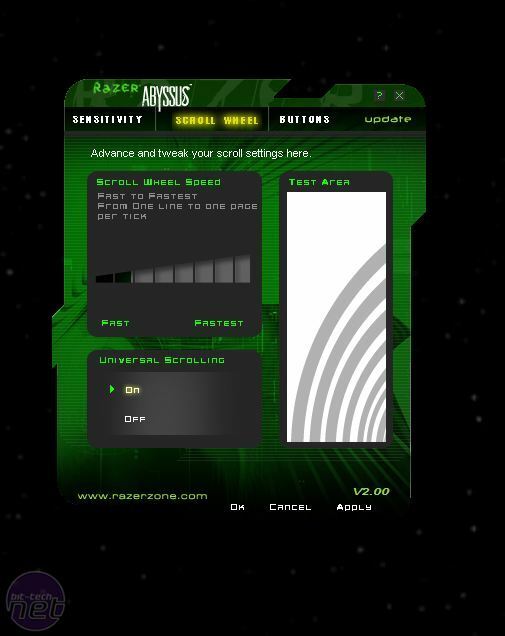 We aren’t impressed by the Razer Abyssus. Thumb buttons are the default forwards and backwards buttons when browsing the Internet, and they’re useful for melee attacks and various other in-game controls; as such, they were sorely missed. Worse still are the Abyssus’ gimmicky extras. There’s no need to have the USB polling rate switch, the variable sensitivity switch was almost useless due to the settings Razer has used. 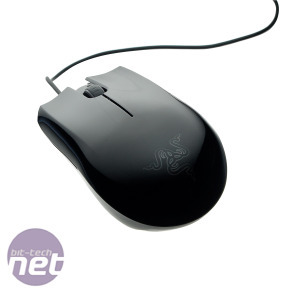 It might be cheap, but it's only another £10 or so cheaper than the classic Razer Death Adder which is a far better choice. The Abyssus deserves to be as anonymous as its namesake and, with nothing to make it stand out from the mouse crowd, that might just happen. 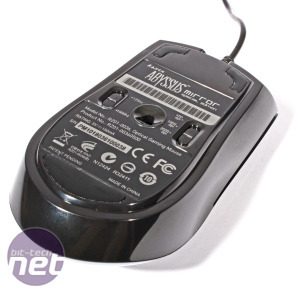 This mouse is designed especially for those who use a 'claw' grip to hold onto their mice. Thermaltake's gaming brand returns with a back-to-basics gaming mouse. The adjustable thumb buttons help make this gaming mouse extremely comfortable.